Listen to tribute tunes, go on an adrenaline junkie journey, taste some tipples, check out a contemporary Shakespeare play and get a demo from Raymond Blanc. Ramside Hall are gonna have a party this Friday, and it’s guaranteed fun All Night Long at their fabulous Lionel Richie Tribute Night. You’ll be Dancing on the Ceiling to some of Lionel’s greatest hits along with a two-course meal and a disco to follow. Tribute act Create Hamilton will wow audiences with his stage presence, resemblance and amazing vocals for a night you won’t forget! Adventures unite this Friday as the Banff Film Festival returns to the Princess Alexandra Auditorium at Yarm School. Check in for an evening of extraordinary short movies as the world’s most prestigious mountain film festival is screened. Follow the exciting expeditions from some of today’s most incredible adventures and watch adrenaline inducing footage of action sports from all over the globe. Gin and beer lovers rejoice! Because a brand-new Gin & Beer Festival is coming to Sunderland’s Roker Hotel this weekend. Starting Friday, the hotel will host 50+ craft gins and 40+ beers with tasty tipples from the likes of Poetic License Distillery and Sonnet 43 Brew House. 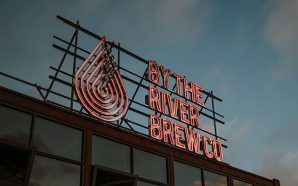 Go here for beautiful beer and botanical creations, live music, a hog roast and much more to kick off the weekend celebrations. On a dark winter’s night a student is called home from university to find his life turned upside down. He had it all, but now everything has changed. Rising star, Paapa Essiedu plays the title role following a critically acclaimed run in Stratford-upon-Avon in 2016. A riveting contemporary take on Hamlet by the Royal Shakespeare Company that will have you on the edge of your seat at Northern Stage this week. Raymond Blanc is in town this Friday to showcase the Kenwood Chef Titanium food mixer. The top chef and ambassador for Kenwood Chef will be on hand in Fenwick Food Hall’s Mason + Rye to show us how it’s done! Enjoy live cookery demonstrations to help us perfect exciting and authentic dishes for dinner parties. Tickets are £30 and include a prosecco and canapé reception, a demonstration and Q&A. What’s more? The full ticket price is redeemable against purchases of the Kenwood Chef range on the evening.